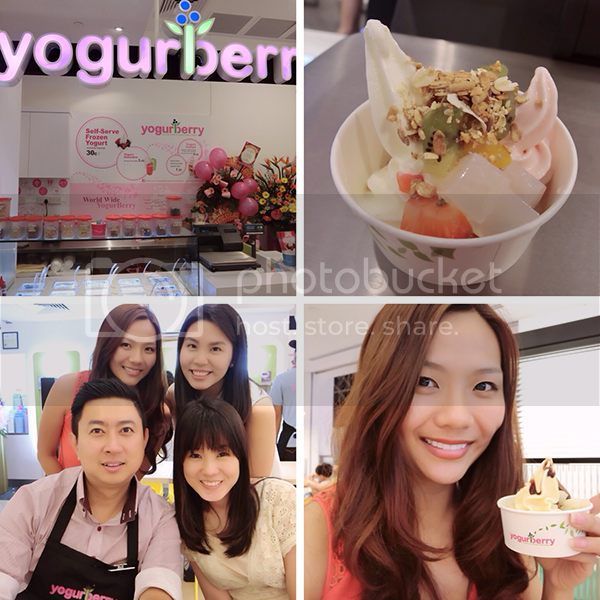 With more than 270 outlets in 27 countries, Yogurberry has finally made it’s way to the shores of Singapore! Froyos (frozen yoghurt) are such awesome alternatives to ice cream! :) It’s low in fat (less than 0.5% per 100g) and low in calories (less than 98kcal per 100g). 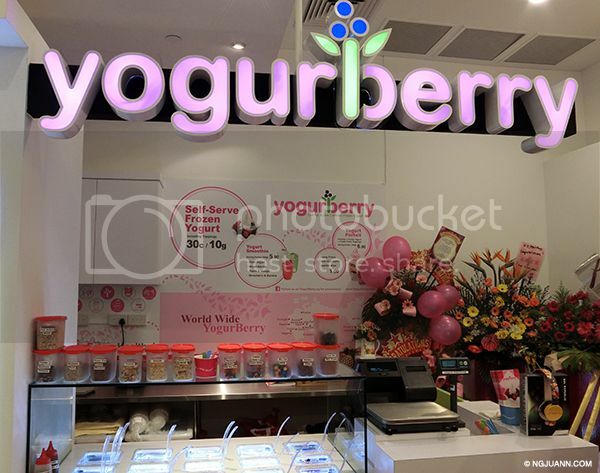 Yogurberry currently has 3 outlets at NUS Food Junction, Great World City Food Junction and Bugis Junction Food Junction. 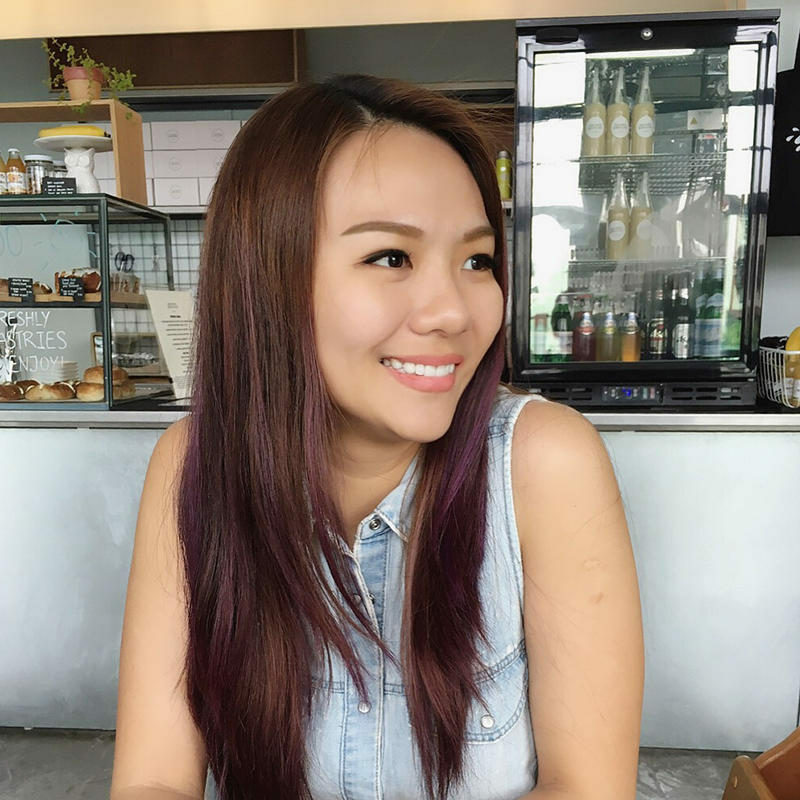 I recently went down to the one at Bugis Junction to check them out! YogurBerry is the FIRST AND ONLY yogurt brand whose products have a glycemic index (GI) lower than 19. The yogurts are made from crystalline fructose – sugar obtained from natural fruits. 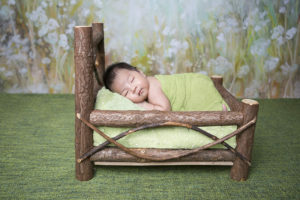 This natural sweetener helps to boost the taste without adding to the calories. 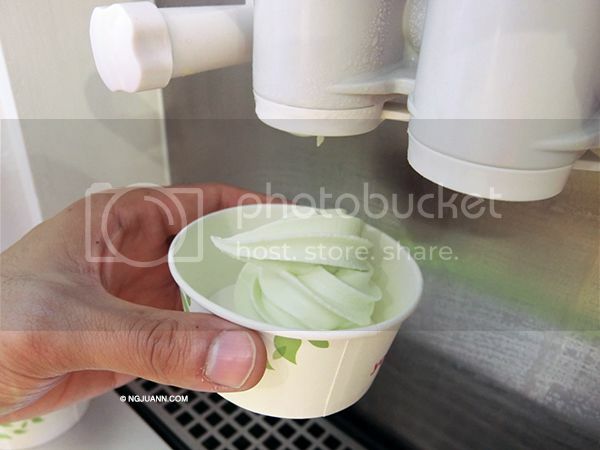 The above is a green apple flavour. 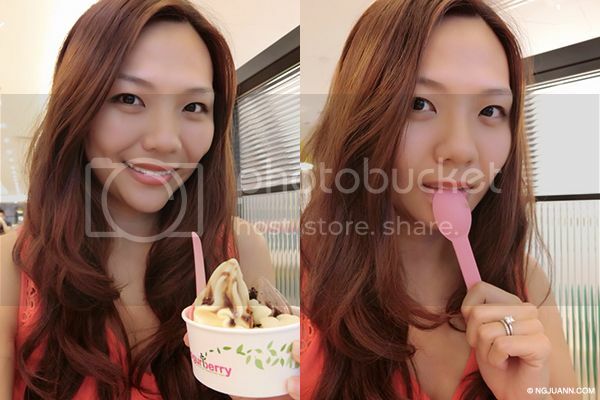 YogurBerry also boasts a multitude of vitamins and fibre and contains only one-third of dairy fat compared to ice cream. 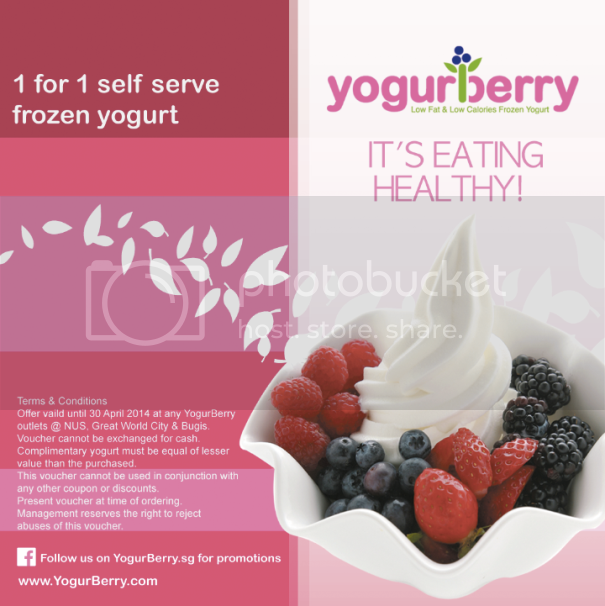 Each serving of YogurBerry is only 25 calories! I went a little overboard that day when I was there. There are super a lot of flavours to choose from like: Plain / Green Tea / Blueberry / Pineapple / Green Apple / Mango / Banana / Chocolate. Above is a chocolate and mango mix. 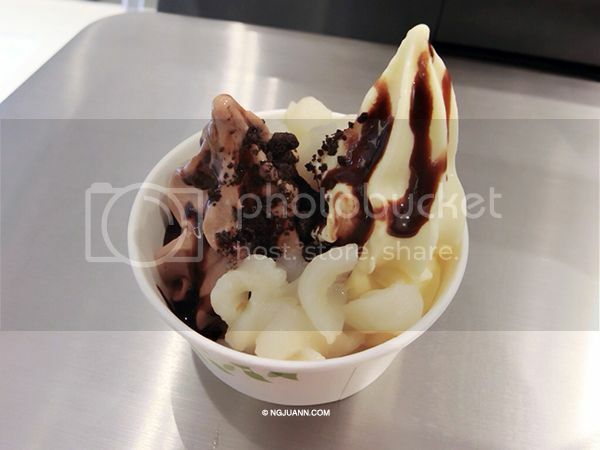 Like most other froyo brands, this is self serve and you get to add as many toppings as you want too (at the same $0.30 per 10g)! 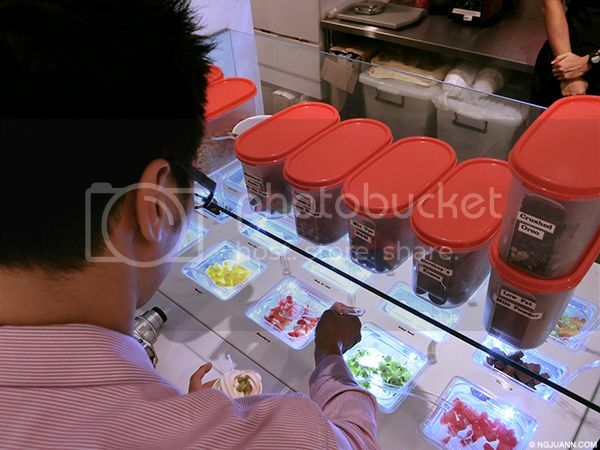 I really like that at Yogurberry, the fruit toppings are FRESHLY cut everyday. Here’s the husband taking his pick of the range of nuts, muesli, chocolate, fruits and so on. Previous Post Estheva Couple Spa – A Luxurious Treat! Next Post Clarins Body S.O.S.